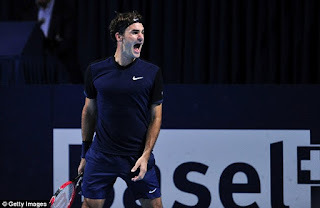 Roger Federer beats Rafael Nadal to lift his seventh Swiss Indoors trophy ~ CK Jacob: Nigerian Fiction And Lifestyle Blog. Roger Federer beats Rafael Nadal in three sets to claim his seventh Swiss Indoors title in Basle. 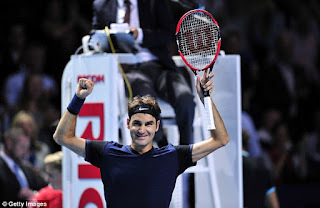 Federer came through 6-3 5-7 6-3, going after the game in assertive and confident fashion on his way to 44 winners, 12 aces and three breaks of serve. Federer won against serve in the fifth and ninth games of the opening set.